The reference photograph for this painting is extremely busy and complex, there are so many masts and shapes from all of the boats in the harbor it would be tedious to paint it all. 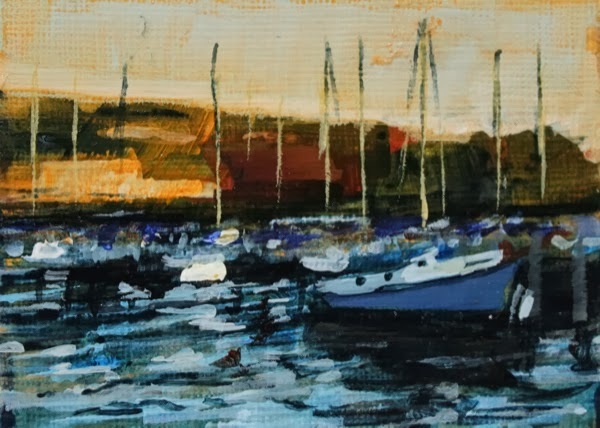 I gave myself the challenge to create the impression of the harbor but without getting too bogged down in the details. I think it works, I like how my mind gets to fill in some of the blanks. It's strange how early in the painting process that the mind starts too read just a few brushstrokes as a landscape.